Read the Success Stories shared by our customers. 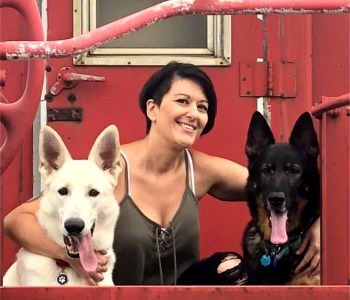 Crystal and her horseAs a company dedicated to providing our customers and their horses and dogs with the best care possible, we know what wonderful horse caretakers you are and we appreciate you. To show our appreciation, we have developed some ways to help you offset the cost of our Herbal Solutions. For consistent savings, we recommend the Auto Ship program. We also regularly provide discount coupons through our email list, facebook, and twitter, so please sign up for all three. 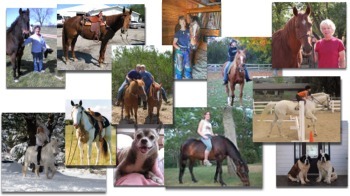 To thank Equine Rescues for their good work we have a nonprofit discount available. 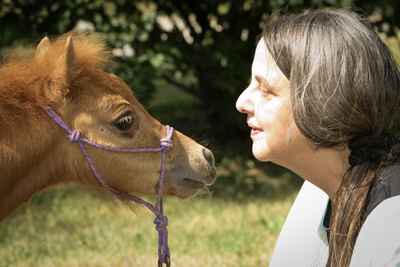 And to thank you for sharing For Love of the Horse with your friends, we also offer a Referral Bonus. $15 off your purchase price for each and every new customer you refer no limit! We will notify you by email of each referral that names you - and send you a coupon code for $15 off your next purchase. How Do I Receive My Referral Bonus? Tell everyone you refer to name You as the referral source when they make their initial order by phone or to add Your name during the online check out process in the “How did you here about us?” field. Jessica with Chase and SashaTake the worry out of ordering your horse's or dog's Herbal Solution supplies while saving money at the same time. 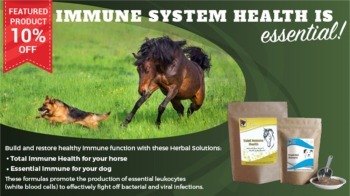 Get a $10.00 discount on each Horse Health Herbal Solution and a $5.00 discount on every Dog Health Herbal Solution when you purchase through our Auto Ship Program. Have the Herbal Solutions you need shipped to you automatically every 3 or 4 weeks. Just fill out and submit the appropriate form (below), and call us at 866-537-7336 ext. 2 with your credit card information. We will set you up with our Auto Ship program within 24 hours. Not to be combined with any other discount, sale or offer. Minimum commitment is for 3 months. Available for large container size Herbal Solutions only. Fill out the online form for your Horse Herbal Solutions or Download the editable PDF Form which you can complete online then mail or email as an attachment to orders@forloveofthehorse.com. 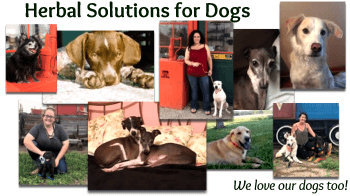 Fill out the online form for you Dog Herbal Solutions or Download the editable PDF Form which you can complete online then mail or email as an attachment to orders@forloveofthehorse.com. Call our toll free number 866-537-7336 and speak with one of our customer care staff to apply. Please note that this discount cannot be combined with any other offer, sale, or discount.